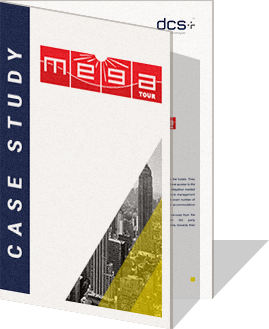 Thank you for downloading our case study about Megatour and dcs plus technology. We hope that this information will help you to find out how dcs plus solutions help travel businesses. All expectations met! A great disponibility and a perfect understanding of all our requirements. We sincerely think that the solutions proposed are the most efficient and evolutive products on the market and we are pleased to use them every day. It's a great pleasure to collaborate with dcs plus team. Since over one year now, we have found a very precious business partner, respecting time limits, costs and offering high standards in terms service quality and a full customer dedication.